Super dense, fine and bright! Nalanee "Nana" is ROCKSTAR's "royalty in white," - just look at her genetics. She carries PCA Peruvian Microsoft, PPeruvian Camilio, PPPeruvian Dracula, Dom Lucilio, and PPPeruvian Royal Fawn! It doesn't get much better than that. Both of her parents are multiple award winners. 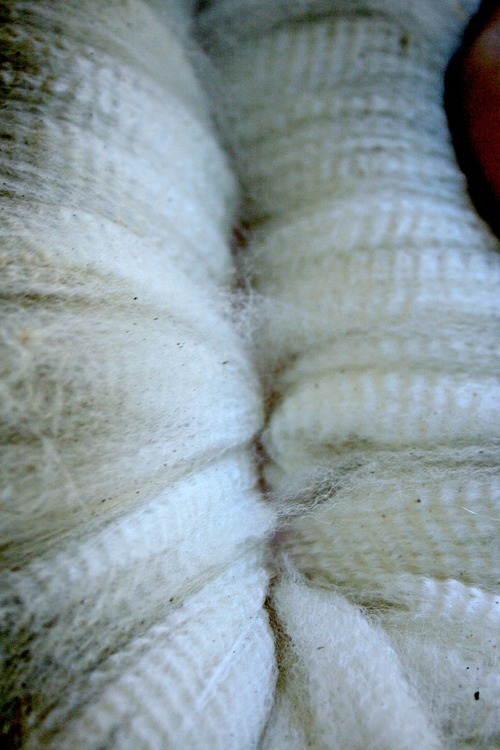 Nalanee has beautiful conformation and exquisite fleece. 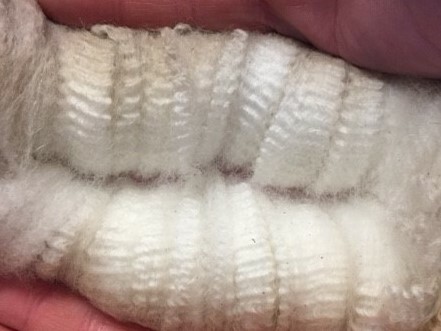 Her fleece has won championships and multiple specialty awards at top shows from senior fleece judges. ROCKSTAR's Cherish is the lovely daughter of Boogaloo and Nalanee. I had been envisioning the result of this breeding from the moment Nana came home. The combination of genetics did NOT disappoint! 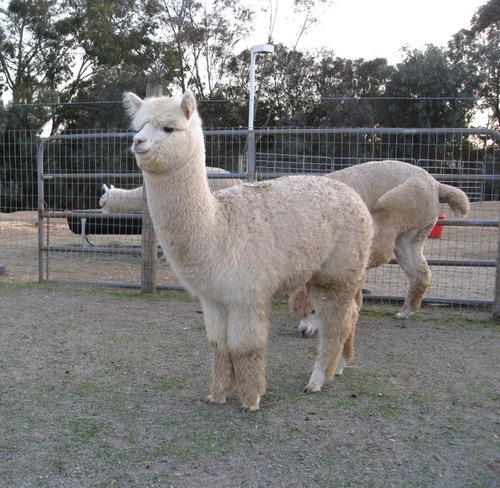 Let's see... PCA Peruvian Microsoft, Presidio, Hemingway, Felix, Camilio, Altiplano Gold - quite a line-up of proven genetics that dependably produces that elite fineness and handle of highly sought-after fleece. Cherish's high frequency, low amplitude fiber is just packed on to her very feminine frame, with a pleasing head, straight topline and showing strong substance of bone. She's the whole package, and very sweet to boot. 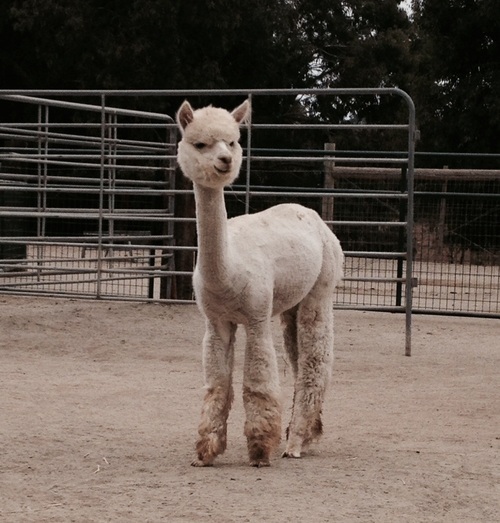 Although Cherish is white, she has a small fawn patch on the back of her head. She could be bred to white, or see if she'll produce color while holding on to that great fineness and uniformity she has to offer. Contact us now if you'd like to add these proven genetics to your herd - either she will be snapped up or I'll decide to keep her! Cherish is a sleeper who I believe will anchor a foundation herd as her dam has all these years. 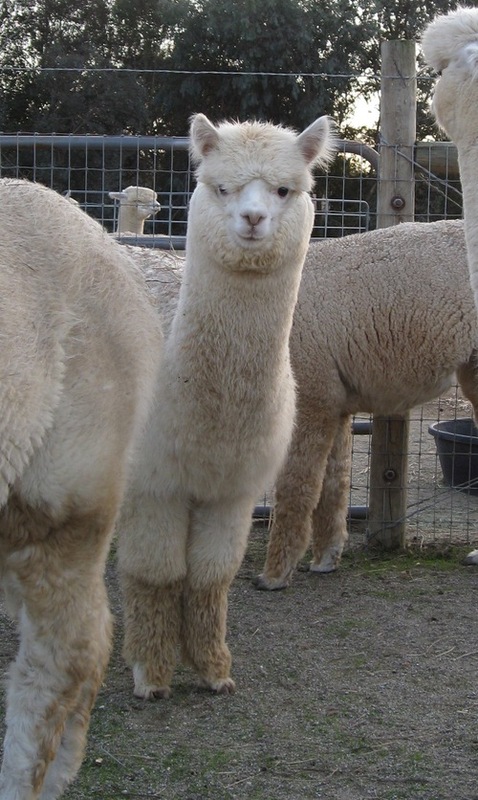 She is only for sale so that we can make room for cria on their way. September 1, 2017 - Cherish delivered a beautiful female out of Snowmass Seventh Samurai today!! A 15.5 lb bundle of joy - mama and cria are doing great! Breeders Best Three, 2014 Gold Country Gathering - on the team!